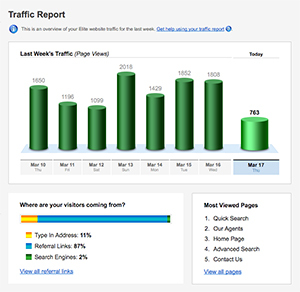 We are seeing noticeably more visitors to our website with a higher percentage of those being new visitors. 1) They host our corporate website. 2) They host our recruiting site. 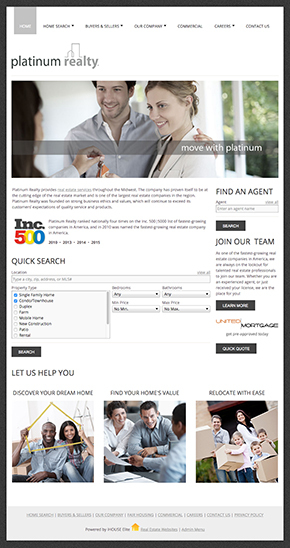 3) They provide attractive and functional websites for our agents. Our goals obviously change in regards to which solution they provide, but our general goal is to provide an accurate and positive representation of who we are as a company. A: When it comes to agent websites, I think the Wiziwig editor is a huge benefit. Few RE agents know HTML code and showing them that editing their website can be simple really encourages them to take ownership. So many times people write off what they do not understand and the WIZIWIG helps mitigate that. We also believe that the built-in blogging tool and email integration are huge benefits to our agents. The blogging features significantly increases traffic coming to the agent's website and, if done consistently, can establish them as a subject matter expert. Email integration allows for easy digital marketing. Bonus points for Mail Chimp integrations, that is my go-to Email Service Provider. Q: How did the website redesign process go? A: We had a unique circumstance when it came time for our website rebuild in that we were actually going through a rebranding. Therefore all of our websites needed to be redesigned anyway. I couldn't believe the perfect timing. Stephen and the graphics team were great to work with. They communicated with us, helped us and kept us on track. They even allowed me to customize our template with our new corporate colors and other small features I personally wanted. I also want to call out the importance of a having a responsive website. Much of real estate business is conducted on smart phones and, in my opinion, having a website (whether our corporate site, recruiting site or our agent's sites) that does not easily translate to a smart phone or tablet is a negative reflection of the business. A: I checked our year-over-year stats on our corporate website and found that after our website redesign we had noticeably more visits to our site, a higher percentage of those visitors being new, and a lower bounce rate. I think we were able to attract more people and keep them on our site. Additionally before our responsive redesign, approximately 25% of our traffic was coming from mobile devices (OUCH). Now it's closer to 40%. Everyone in the company, from the owner to employees to the agents, believes this redesign accurately portrays us and gives us an advantage over our competition. We also get to promise our agents we are providing them the best technology and thoroughly believe what we are saying. 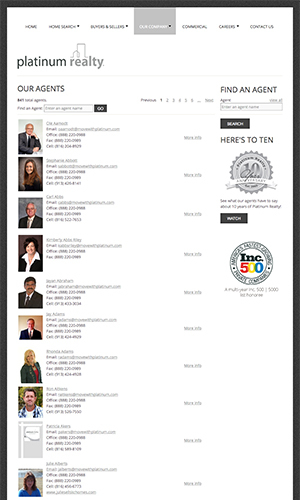 Since the start of 2016 our company's agent websites have averaged between 40-50 leads per month!